During the first sign of life tests of P2, which I was lucky to follow along live, I think I heard Ken say, he was evaluating ePaper displays for a possible P2 board. Now I'm wondering if we will see a board with that kind of display and I would be very excited if it also had a wifi option. Another thing that I think I read in the forums a couple years ago was Chip mentioning that the P2 may work as a self-contained system. So one could just plug in a keyboard and a display and start spinning. In the company where I work we sometimes build little IoT projects for evaluation or demonstration purposes because one of our main business is designing visual interfaces for embedded devices in machines. For the last project we used the Arduino MKR 1010 WiFi. The ease of use of WiFi on that device was impressive for me, but I was really disappointed by the limited number of I/O pins and the restrictions on which one to use for which task. 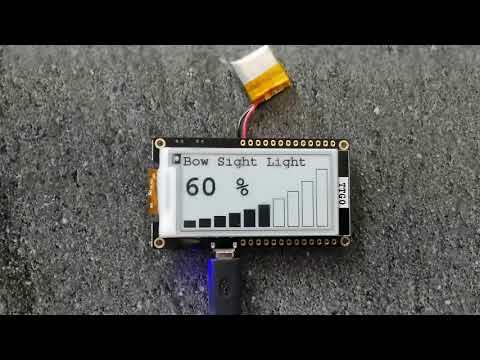 I remembered how easy it was in my Propeller 1 projects some years ago to control multiple motors, read their encoders, render text onto a display, generate an IR signal to release the shutter of a camera and read some buttons - all at the same time, all in the same chip, without worrying about timing or interrupts. So no matter what the first board availible for public purchase will look like - I will buy it, as soon as it's available in Germany. Right now, existing boards are P2-ES from Parallax, and Peter's P2D2. Neither have inbuilt displays, or display-focused connectors. Both are being slightly revised, but not with huge changes to the connectors. What I've suggested before, is to add / change to a RaspPi compatible pinout, that picks up lat least SPI/i2c and Power. Clemens, that's the kind of thing that I want to make, in principle. Having a machine to work on that really works without hiccups and distractions, where nobody can pull the rug out from under your feet, would be a joy. I think only older people have any concept of what that's about, because everything made in the last 30 years has been increasingly flakey, bloated, and out-of-control, and people have accepted 70% solutions. It's like subsisting under a bad system, where little is certain and you have fleeting property rights. It's no fun, compared to how it COULD be, with decreasing incentive to make anything. We need freedom, instead of entrapment. ...I think I heard Ken say, he was evaluating ePaper displays for a possible P2 board. Unofficially, it looks like an ePaper display is coming to the Parallax store soon... I spotted the Blockly code being tested in the last few days, and the product docs look close to completion. Might make for an interesting Easter treat! So if I'm not mistaken, this module as a companion part could provide both an epaper display and WiFi for P2 at the same time? Maybe that could be a concept too, a basic P2 module that can be inserted into a Display/WiFi module. Then there could be all kinds of adapters, for breadboards etc. Chip, I'm happy to hear, that this is still on your mind. I hope, it's not just us old guys who would apreciate a smaller gap between the machine to be programmed and the programming machine. 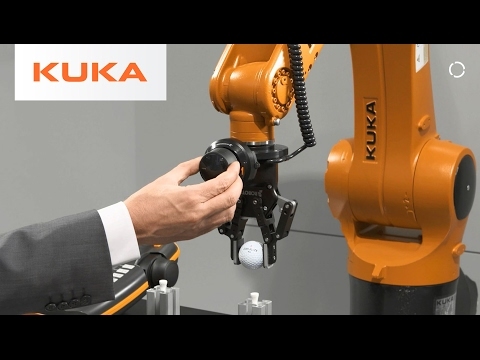 So if this guy can teach his Kuka Robot and adjust the learned values on a neat monochrome display, why do I have to hook up a pc to program a Lego Mindstorms Robot? Thanks for the Infos Publison and VonSzarvas!